Let’s begin by looking at what money really is, using the settling of the United States by the European colonists as an example. When European settlers came to America during the 1600s, they traded useful goods with the Native Americans who had lived here first. The settlers traded for furs and commodities, such as lumber that could be exported back to Britain. Barter was the original method of exchange, but trade soon evolved into using common goods as mediums of exchange, such as wampum, which were strings of beads made from mussel shells, beaver skins and tobacco. These items became money – measures of value, representing goods and services or labor. In fact, there was little use by the original settlers for coined money. Later, when useful goods arrived from Europe, coins were usually demanded for payment. The colonists began using French, English, German, Dutch and Spanish gold and silver coins. Many years later, after independence was won by the colonists and the United States government was formed, the country established the United States Mint in Philadelphia during 1792 and began striking our own coinage. In addition to facilitating commerce, our nation’s coinage helped give us an identity. These early United States coins were established by law and were required to contain specific amounts of gold, silver or copper…metals that had been accepted for centuries, even millennia, as measures of value – money. Coins represent exact measures of these metals, and their designs and lettered or reeded edges, which are familiar to us today, ensure that the gold, silver or copper contained in the coins can’t be shaved off by filing or cutting. During the mid-1800s people began collecting these early U.S. coins as hobbyists. Various types of these coins were collected by their designs, metal type and denomination. Many years later coin collecting evolved into collecting by dates of issue, which are displayed on the coins, and then during even later years, by mintmarks. At some point, after collector premiums over face value rose, coin grading, which describes the condition of coins, eventually became commonplace in coin collecting. As popularity grew, collectors began paying increasingly higher prices over face value for the coins they wanted, right up to the present time in which we’ve now had three rare United States coins sell for more than $7 million each! Obviously, those coins are very rare. Basically, collector coins are valued by their rarity and condition – that is, the amount of circulation wear or contact marks on them from use in commerce. Some of the most famous collector coins are issues like the 1909-S VDB Lincoln cent. 1909 was the first year of issue for the Lincoln cent, in commemoration of the year of Abraham Lincoln’s birth. All these initials represent: (1) the San Francisco Mint, where this particular issue was struck. (They were also struck at the Philadelphia Mint.) And (2), the “VDB” represents Victor D. Brenner, the coin’s designer. The 1913 Liberty design nickel, of which there were only 5 coins struck, is another of the most famous American collector coins, although it’s priced out of the reach of the average collector. It is so rare that even people who can afford one will have a difficult time being able to own one of the five because it is a rare occasion when one of them comes on the market for sale. The 1804 silver dollar, known as “The King of American Coins,” in which there are just 15 examples known, is, without a doubt, the most written about coin issue in all of U.S. coinage. While the later two are extremely rare coins, they give an example of collector coins, valued for their rarity, not just their metal content. The 1913 Liberty nickel and the 1804 silver dollar each are worth at least $3 to $4 million at this time. The 1909-S VDB Lincoln cent can be purchased from less than $1,000 to somewhere between $10,000 and $20,000, depending on condition. There were originally 484,000 1909-S VDB Lincoln cents minted. This total compares to contemporary issues of Lincoln cents in which mintage totals range from about 3 to 8 billion coins per year of issue! Needless to say, those coins don’t have much collector value, if any. Similarly, today’s bullion coins are very common coin issues – so common, that they do not command premium prices by collectors in the marketplace. There are just too many of them. Here in the United States the American Eagle bullion coin program was begun by the U.S. Mint in 1986 for the express purpose of enabling Americans to invest in precious metals. This program was largely in answer to America’s banning of the importation of the once popular South African Krugerrand bullion coins, because of South Africa’s apartheid laws. Prior to 1986 the United States Mint struck gold bullion coins, known as the American Arts Gold Medallion series, and then during later years, introduced the one ounce American Buffalo gold coins, the First Spouse$10 gold bullion coins, the Augustus Saint-Gaudens designed Ultra High Relief gold coin, as well as many commemorative series coins, which contain gold, silver or platinum. When investing in bullion coins, all you want is the metal they contain. By buying them in coin, or even bar form, you get an exact weight and fineness, or quality of metal, such as .999 or .9999 fine gold. There is absolutely no need to buy bullion coins that have been graded and are in grading service holders. Bullion coins are not meant to be scarce or rare collector coins! However such coins are sold by some coin dealers and are collected, but they’re really very, very common. It is only the bullion content you should be after, when investing in precious metals. In fact, if you are making an investment in precious metals through your self-directed IRA or 401k, collector coins that have been graded by a coin grading service are not allowed to be included in these plans per Federal law. Again, what you are investing in, when buying precious metals, is the metal content only. The only reason this metal has been fashioned into coin or bar form is to provide a convenient method to be able to distribute and exchange specific weights and qualities of precious metals such as gold, silver or platinum. Currently, here in the U.S., the American Eagle gold, silver and platinum coins are one of the most popular ways to own these precious metals. There are about ten wholesale distributors who are “Authorized Purchasers” by the Mint, and they distribute through dealers like me who sell them to retail investors. Because the U.S. Mint charges a price premium over their metal content to cover the costs of manufacturing and marketing these bullion coins, they trade for more than the values of their precious metals content. Currently, a less expensive way to go is to invest in Canadian Maple Leaf coins, manufactured by the Royal Canadian Mint (RCM). However, these coins also command a small premium over the values of their precious metal content, but this premium is normally smaller than for the American Eagle bullion coins. The RCM also manufactures bars, whereas the U.S. Mint does not. South African Krugerrand coins, once the most popular bullion coins on earth, now come in at a distant third place in popularity here in the U.S. market. However, they can often be purchased for a much smaller premium than the U.S. or Canadian bullion coins. But, of course, when they are resold back into the market they may trade for a slight discount to the value of their metal content, whereas the other two can most often be sold back into the market for their full “melt” values, or even slightly more in large quantities. Additionally, there is absolutely no need to buy exotic foreign gold coins, which are typically promoted by large firms in mass quantities, in hopes that these very common coins will magically become collector pieces and increase in value – they most likely won’t! They usually sell for huge premiums over the values of their gold content, requiring the market value of gold to soar to unprecedented levels just to break even! Another way to invest in silver or gold coins is by buying dimes, quarters and half dollars minted during 1964 and earlier years. These coins are comprised of 90% silver and are traded on the exchanges in $1,000 face value “bags,” which contain 715 ounces of silver. They can also be purchased from most coin dealers in smaller quantities, and their premiums over their “melt” values are low. Many investors feel comfortable owning silver in this way, because these are familiar coins that carry a denomination. They may be useful during a catastrophic financial meltdown, the subject of which is too complex to address in this article. Vintage U.S. gold coins, such as $2.5, $5, $10 and $20 gold coins struck by the U.S. Mint prior to 1934 are also a similar way to invest in gold. As the market price of gold bullion has risen during the past few years, collector premiums over the metal content of these gold coins has dropped to virtually nil. Again, the subject of why these are preferred by some investors is too complex to cover here, but there is a historical precedent in the U.S. during 1933 in which our Federal government confiscated gold to prohibit its hoarding in the wake of a banking crisis, by replacing gold with currency, but a “collection” of these gold coins was exempt. 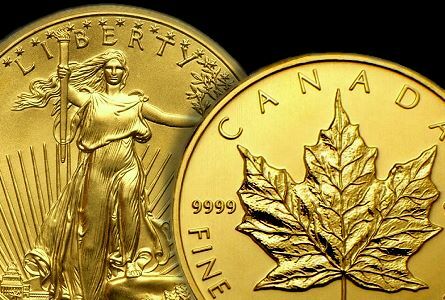 This precedent is an exception to buying gold, silver and platinum coins only for their metal content. If you have concerns about such a scenario, or want to discuss other aspects of investing in precious metals, feel free to call or email me anytime. Mark Ferguson is a specialist in precious metals investments and deals in all bullion products currently traded in the market. If any products or services mentioned in this article are of interest to you, Mark can be reached at 920-233-6777 or mark@MFRareCoins.com. Mark Ferguson has been dealing in rare coins and precious metals nationally since 1969. He has written feature articles and regular columns for Coin World, Coin Values magazine, The Coin Dealer Newsletter, Numismatic News, The Numismatist, ANA Journal, and the British publication, Coin News, and currently writes a weekly column for CoinWeek. His website is www.MFRareCoins.com, where additional research information about precious metals is available.